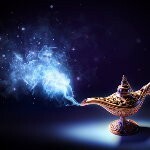 A wide variety of djinns of various origins is known, for example, Pre-Islamic, Islamic, Arabic, Egyptian, Norse, Chinese, Greek, Roman, Ethereal and Spiritual origin, and many others, but they all have one common thing: all of them can be called up with the help of the magic spells available in this section. Use a wide range of spells, which are aimed at helping in this difficult matter. Why difficult? Because djinns are powerful spirits that come from fire. They have a strong will, that is why they choose themselves if they will go for contact with a person or not. However, our magical spells will ensure you the absence of such difficulties on your way. 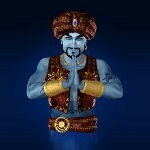 Utilizing all the power of these items, djinns will easily go to your call, you can easily establish contact with them, and using the Custom Djinn Genie Spirits, you can strengthen this connection by making djinns your friends. Do not miss the moment to experience the magic of these ancient spirits who are able to fulfill human desires. In order to djinns feel fine and are accessible at any time, get for them a special Charging Box where they can rest and gain strength. Take care of their comfort, and then djinns with gratitude will do for you what you ask for.